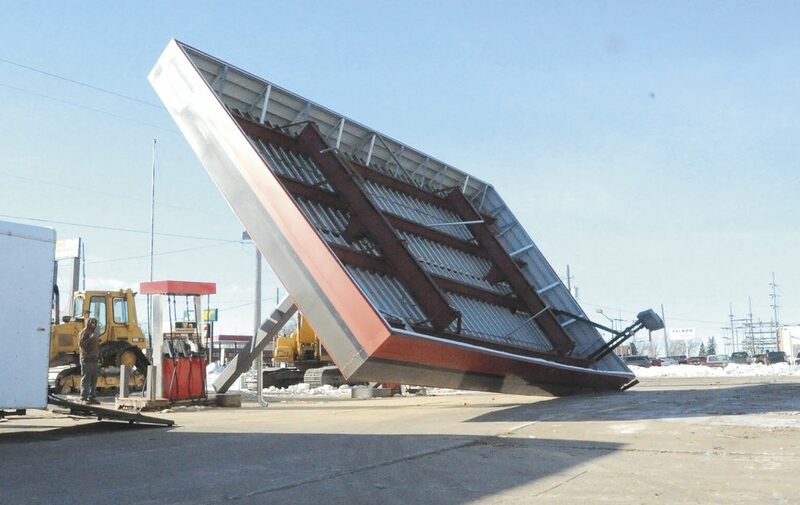 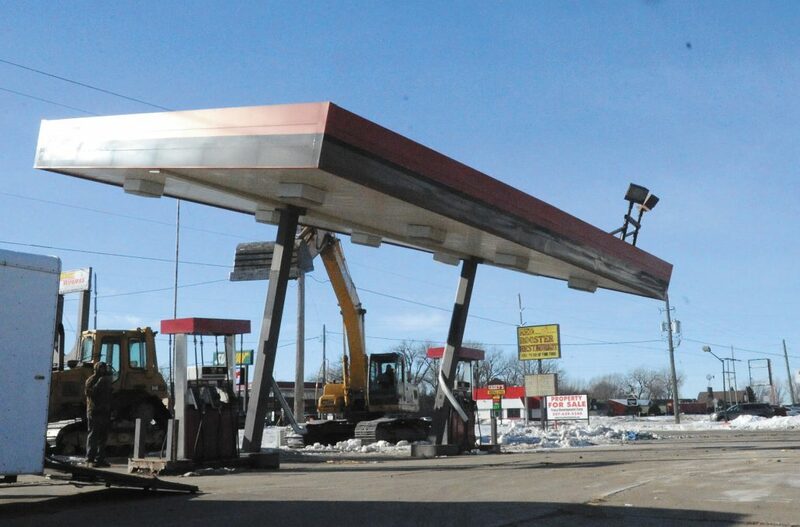 Part of the finishing touches on the demolition at the former Red Rooster Restaurant site last week was the toppling and removal of the canopy over the old fuel pumps. 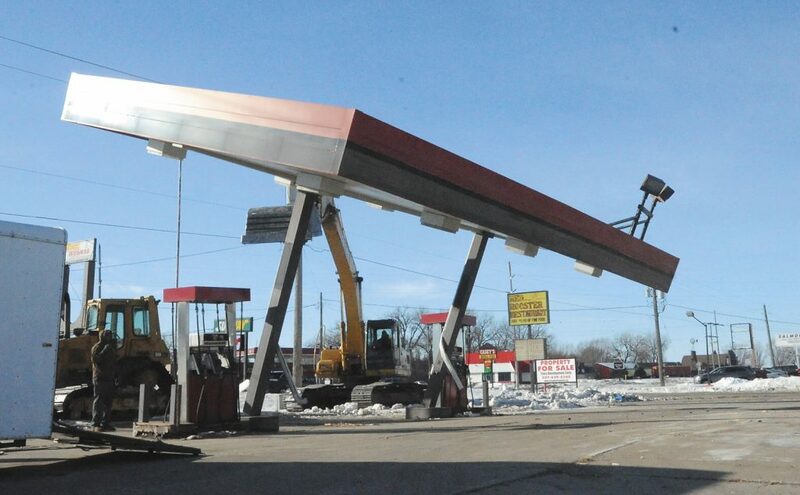 After some welding work at the base of each pillar, a Lyle Noomen excavator was used to push the canopy over. 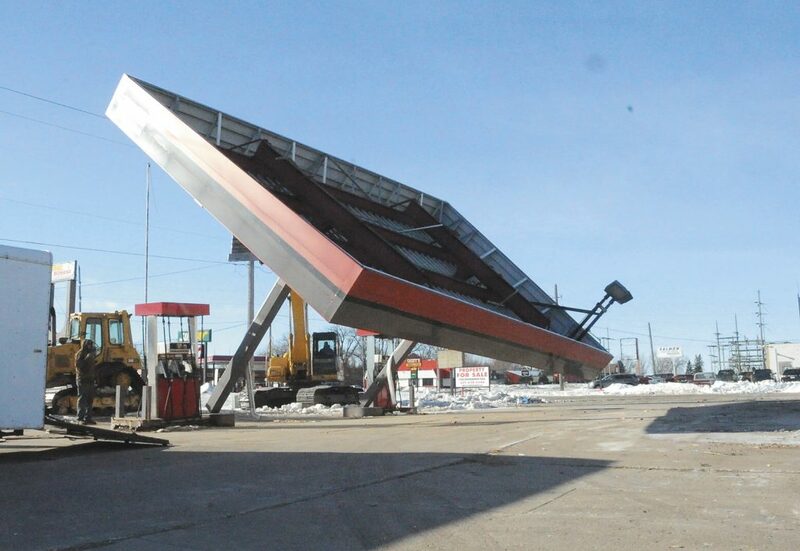 The canopy gave up without a fight.